Holiday home on quarter acre section. Sleeps 6. Plenty of space in house. The house is private - situated on a quarter acre, Located centrally, within easy walking distance of the township and golf course. Playground in Village Green close to house. Great views of Mount Dobson in the distance. Fairlie is a breath of fresh air - in the heart of the Mackenzie Country. There are good places to eat at ( a great bakery!) and the people are friendly and welcoming. There is a river within walking distance for swimming and picnicking and an excellent golf course across the road from the house. Close to skifields and lakes. The house has three large bedrooms, sleeps 6. There is a fully equipped kitchen, laundry, bathroom, separate toilet, dining and lounge area, There are two log fires - one in the kitchen and one in the lounge and a heat pump. Broadband WiFi is included with excellent access. There is a small, sheltered courtyard - an ideal place to sit in the sun or have an outside meal. My husband and I are both retired and we enjoy meeting people and travelling. We have grown up children living in different parts of the world and so a great excuse to pack the bags and head off. We live in Lincoln which is abut 2 1/2 hours drive from Fairlie and we love to escape to this part of the world. The Mackenze country is a magic part of the South Island. A chance to return to days of old and family times. 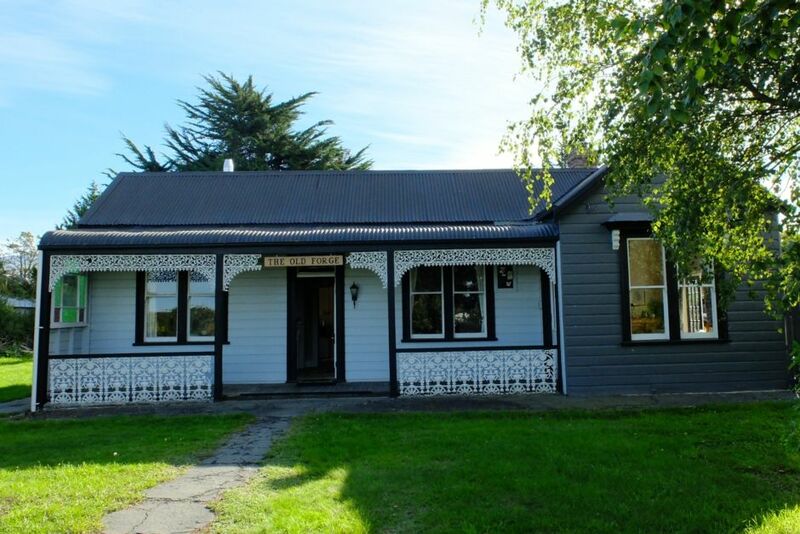 Experience staying in one of Fairlie’s oldest houses! Built in the 1880's, the house is quaint, rustic, warm and full of character. Put your feet up, relax, unplug from the modern world and feel your troubles melt away. Go for a swim in the Opihi River if the weather is nice or if the weather isn't so great, light the fire and relax with movies, books, and board games to provide entertainment. Opposite the golf course. Close to the Ophua dam for water skiing and boating. Close to Mt Dobson for great skiing. Only half an hour from Tekapo and the "Dark Sky Reserve" - the best chance to see stars in the clear dark skies at night. A small town with friendly people and within easy walking distance of the river, museum, playground, pubs and restaurants. Fairlie is a small town in the Mackenzie Country. Close to ski fields, river, lake. and golf course.A great bakery within walking distance of the house. 30 minutes from ' Night Sky' in Tekapo. This house has echoes of our childhood home right down to the original creaking floorboards, the stone sinks and the food safe. We enjoyed staying here and going down memory lane - it was comfortable overnight, had the cooking facilities we needed and had sunny spots to eat breakfast. The bonus was that we were able to charge our EV overnight (from a 3 pin plug. ) and so saved us fast charging time later. It was a pleasure having you to stay at The Old Forge and thank you so much for leaving the place tidy at the end of your stay. Quirky old house to stay in super close to town and playground. Delightful traditional old style house. Loved the balance of original decoration and modern facilities. New shower and bathroom are excellent. Having stayed in this house for a week I would have liked the kitchen to be modern rather than sixties. But I notice on the reviews, other people have found it attractive :) - Ian & Sue 58yr old from UK. Great location. ideal for visiting family in Fairlee. Good space, enough for 4 adults and two children not to feel on top of each other, Lovely quirky place. Clean and comfortable. I would have given it 5 stars but felt the outside patio area was very neglected and needed a tidy up. Bearing in mind that this is a partially modernised 120 yo farmhouse. It does not purport to be anything else! If you require instant warmth and double glazing, with ensuite bathroom etc then go to a motel. Two wood fires, plenty of DRY firewood, lots of hot water ( pressure a tad on the low side), about a 1960's kitchen, bit draughty around the 100 yo door frames, electric blankets, heat pump in the main living area. And a fairly complete selection of 80's music - on vinyl. No Pink Floyd! We loved the cottage. Very charming and spacious. We particularly loved the kitchen with the dining table and wood fire and spend quite a lot of time there. We'd love to come back. It was a pleasure having you and the family plus dog stay at the cottage. It would be lovely to have you stay again. Fairlie is a typical small farming town with friendly locals. It is a very safe town, and easy to walk around. You will find the township within a short, five minute walk. You can buy any groceries or supplies in the Four Square in town, and there are some lovely restaurants and cafes to choose from if you want to eat out. The excellent Fairlie Golf Course is also a short walk from the Old Forge, and there are some lovely walks you can do along the river. Nearby to Fairlie is the Mt Dobson ski field (a 10 minute drive to the entrance). Mt Dobson boasts some of the best views and powder in the winter. You can ski and ride all day on natural, dry powder snow with all day sun and wide-open, uncrowded runs. A 30 minute drive will bring you to Lake Tekapo. Here, you can find hot pools, an outdoor ice skating rink, and the Roundhill Ski Area. A wonderful attraction here is The Night Sky - a great way to see the stars at night in clear skies. Finally, an hour’s drive will bring you to the magnificent Mt Cook/Aoraki – New Zealand’s tallest Mountain.